Talking about Jazz festival in Asia. Lets start with jazz festivals which are close to where I live. Enjoying jazz music which is close to home. Starting with my own country, Indonesia. In the world of Jazz Music, Indonesia has become known to be one of the host of international Jazz events. Jazz goes to campus (JGTC) I personally have enjoyed Jazz Festival and Jak Jazz, but I have not attended Jazz goes to campus. Talking about Java Jazz. 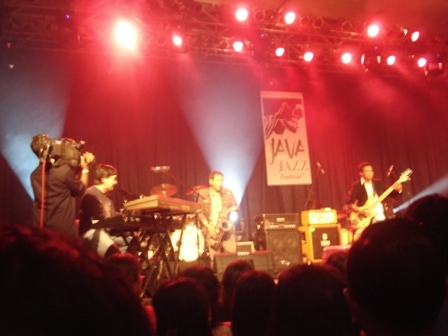 Last year (2011), Java Jazz was held on March 4th, 5th and 6th. But this year it is scheduled to be held on March 2nd to 4th, 2012. Only a couple of days ahead ladies and gentlemen. Be sure to be ready with your tickets. You surely don't want to miss one of the greatest jazz event in South East Asia. The venue was The Jakarta International Expo, on Jalan Kawasan PRJ Kemayoran , Jakarta 10620. While Jazz Goes To Campus (JGTC),can be said as a senior festival. It was initiated in the 1979 by Chandra Darusman, an Indonesian well known musician Indonesia. The first event was held in the campus of the University of Indonesia, in Salemba, Central Jakarta. But, later events was held in another complex of the University of Indonesia in Depok. Location? On the parking lot of the Economic University of Indonesia. Another Jazz event that I recently found out is the The North Sumatera Jazz festival. The moto of the event itself is the jazz soul of Ismail Marzuki. The event was held on July 1 and 2, 2011. Yup, it was a fresh event all right. The event took place at Medan Convention Center, Hotel Danau Toba International (DHTI), Jl. Imam Bonjol No. 17, Medan. Despite that the organizers were students the event was participated by international Jazz musicians and jazz musicians from Asia namely Bubi Chen, Bill Saragih, Benny Likumahuwa, Ireng Maulana, Jack Lesmana, Indra Lesmana Reborn, Riza Arshad, Tohpati, Syaharani, Elfa Secioria, Gilang Ramadhan, Bob James, Dave Koz, Ron Reeves, Coco York, Cabaleros, Claire Martin Quintet, Tompi, and Andien. There are also regular performances which are conducted in a more frequent basis. The performances include the Friday Jazz night in Ancol. A new information for me and also for you is that there is the Bekasi Jazz Festival. The event took place on October 8th to 9th, 2011. Bekasi is the city next to Jakarta. Current confirmed artists who will be performing in the event are Barry Likumahua Project, Calvin Jeremy, Endah n Rhesa, Ten2Five. And the confirmed international artists include LOGIC, and MYMP. I will get back to inform you about more performances available in Indonesia. And definitely more of the jazz festivals in Asia. Ok, I will just inform you a bit about the festivals I have attended before. In Jakarta I have visited Java Jazz festival and Jak Jazz Festival. 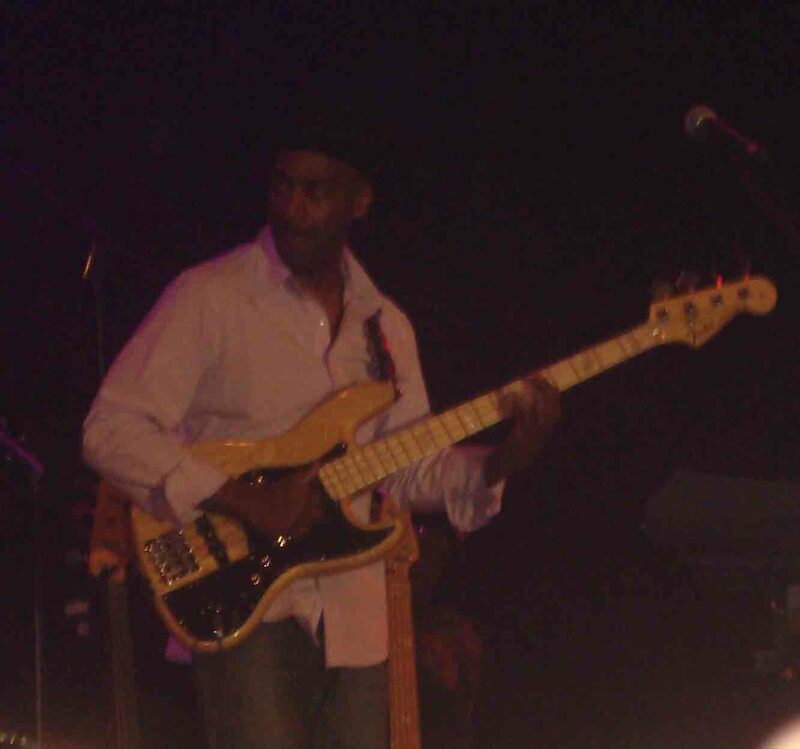 I remember that it was in 2007 that I first know about Marcus Miller. A bass player who is also a producer. Well it is not a perfect picture, well it is because it was taken from my cell phone camera. But the point is that he showed that playing bass does not always have to be grounded and be under the radar. And this next one is another band in Indonesia, known as a pop band. But they put on together a really cool performance. Thet are Kahitna. Well it was a blast. Too bad I did not have enough photo for the next Java Jazz festivals which I went to . But it sure was a cool atmosphere. Let us know about your experience of enjoying Java Jazz.